I am a huge fan of wasting time scrolling through Pinterest. I spend more time than I care to admit checking out other's projects and dreaming of how I could someday incorporate this and that into my life. I pin and like and share... but I really just do that. I do not often actually do any of the projects I pin. 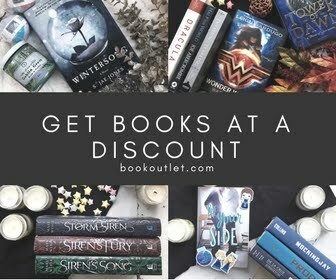 One of the best parts is that I have I met some awesome new book loving friends! 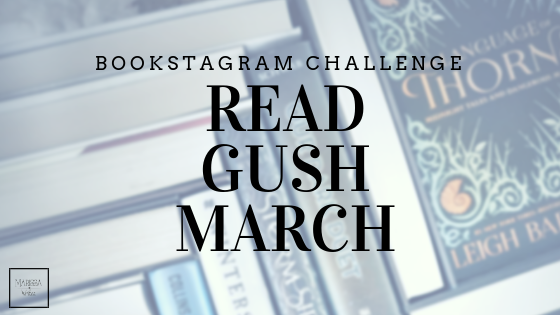 And one of those friends has agreed to help me with this fun February Bookstagram Photo Challenge! So we gathered up some fun looking paper folding & origami ideas to keep the challenge inexpensive... and below is a breakdown of what your challenge is every day. Groundhog Day - green & brown books ... will winter be over soon? Books & Letters - It's send a Card to a friend day... so take a moment and write a card to a friend and include some part of that in your picture! Fancy books - find books with fancy frilly covers, and then follow this link to create your own little paper dress! Friends - what was the last book a friend recommended to you? Did you read it? #Booksandbows - what was the last book you gave to someone as a gift? Follow this link to create your own bow and feature it in your picture! Valentine's Day - #Bookandroses - no need for expensive flowers when you can make your own!! Follow this link to create your own roses and then share your red, pink, & white books with them! Book folding - alright... now we are getting serious... find a book you don't mind folding a bit... and check out this video on how to create amazing book art! Let us see how it turns out! 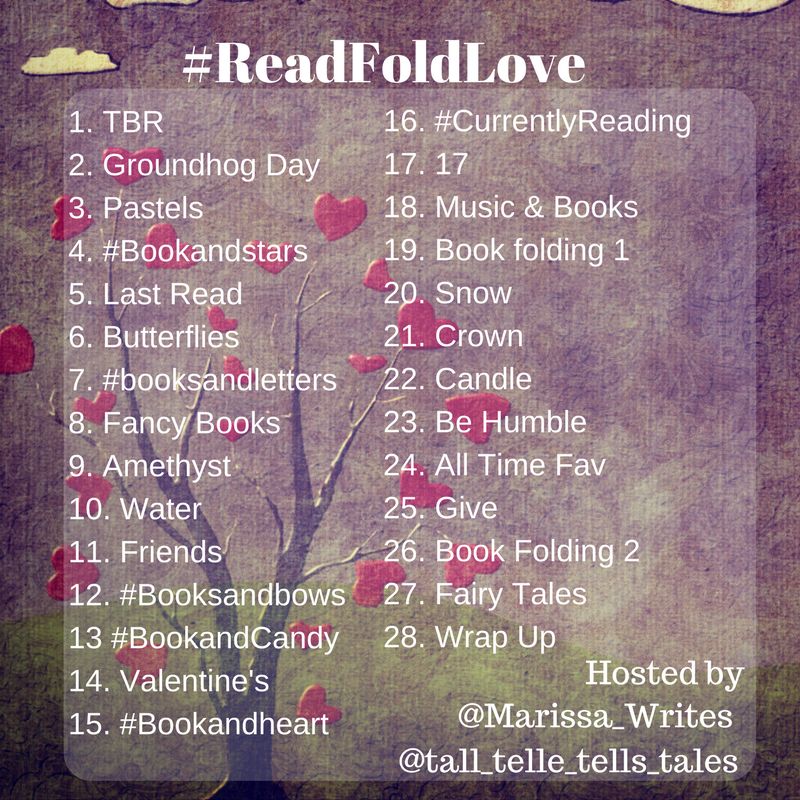 Gift a bookstagramer - follow these links to create your own flower bouquet, and give a free shout out to a fellow bookstagrammer! Book folding take two... so this isn't easy but let's give it another try? Follow this link for more ideas... or just go back to the original video to give it another try! Don't forget to let us see! It's Tell a Fairy Tale Day - what is the best fairy tale retelling you've read? Wrap up... Feel free to make your own special paper folding feature... or share what you made for the month with all those books you read!! If you are looking for some extra ideas, or an easier option, or more details, feel free to stop by my pinterest board... or search for your own!